Winter has arrived here in the Pacific Northwest, so for our first concoction we were thinking something along the lines of a warm, festive holiday punch. 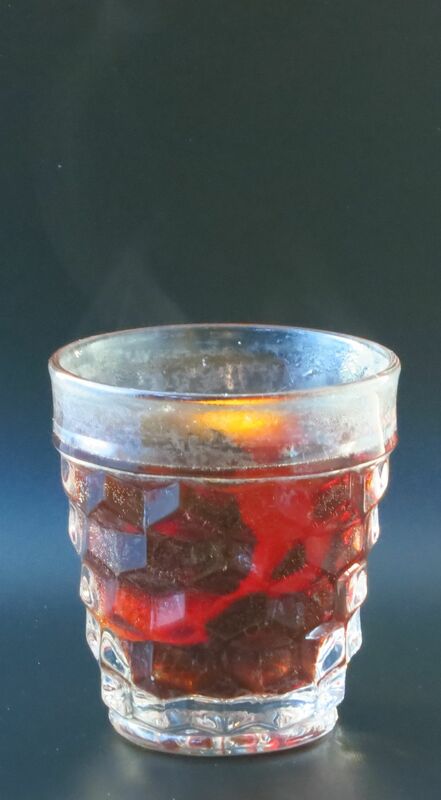 With that as our goal, a rich red vermouth seemed ideal for the base ingredient. We tasted through our different red vermouths, and we ended up settling on the Vya. It has some cinnamon and spice notes that are well-suited to what we were going for. Given that flavor profile, we thought that an apple-y calvados would pair well, and turns out we were right. We then added an orange twist for some brightness and freshness, and a couple dashes of bitters for complexity. Mix all ingredients in a saucepan and warm (don’t boil) on the stove.If you don’t have Vya on hand, we suggest to add some cinnamon and cloves when heating the drink. Pour over a large orange twist. Nose: Orange peel, cooked orange a bit like marmalade, baked apple, cinnamon, red wine, allspice, cola. Palate: Orange right at the start, then cinnamon, allspice, and a little bit of clove. Port-like oxidized wine notes along with baked apple on the mid-palate. Bitter, boxwood-y finish. Originally we didn’t use the simple and it made a quite dry and more bitter drink. Adding the simple smoothed out the mouth feel, backed down the bitterness some, and also tied the fruit and spice flavors together more. Since we were on a roll with vermouth, we decided to try something with white vermouth next. We decided to use gin as the spirit since that’s a gimme ;), plus a little bit of lime to brighten things up and a touch of simple for sweetness. We mixed those up and topped it with some soda, thinking some effervescence would be nice. Unfortunately, it just flattened the drink out if enough was added for any sparkles. So we made another and shook it instead. We quite liked the drink that made, but thought it needed a little more lift. 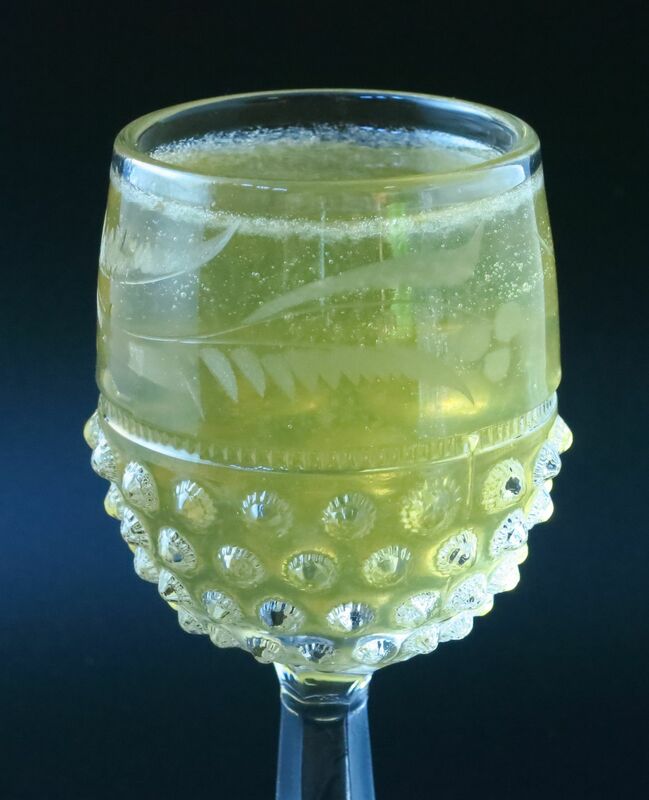 After a few experiments, we found that just a touch of celery bitters added the oomph we were looking for. Shake all ingredients with ice. Strain into a glass. Enjoy! Nose: Herbal notes, pine resin like retsina, little bit of honey, chamomile, juniper, slate. Palate: Punch of the lime acid right at the start along with resin notes and juniper. Honey sweetness on the mid-palate along with more herbal notes. Toasty celery seed on the finish. Very light and refreshing. Has enough acid that it would go quite well with appies. Both of these cocktail turned out rather nicely if we do say so ourselves, despite being low alcohol. Who knew! 🙂 Thanks to Dinah for hosting and giving us a fun challenge! 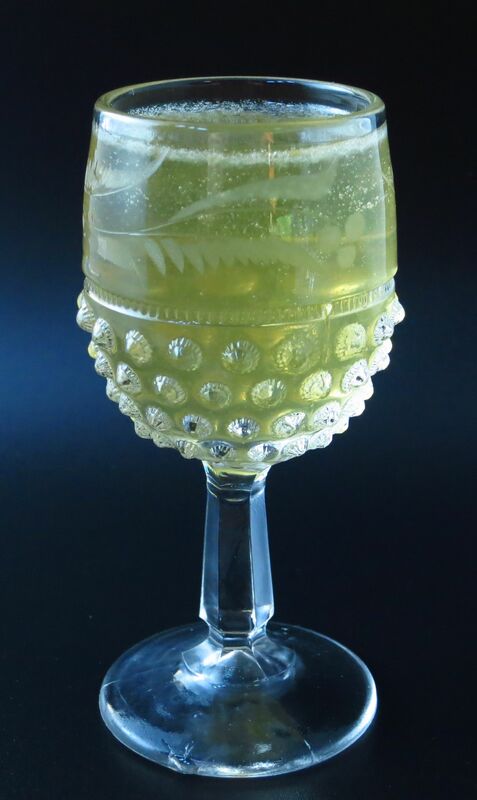 This entry was posted in angostura bitters, calvados, celery bitters, dry vermouth, gin, lime juice, Mixology Monday, orange bitters, sweet vermouth and tagged chalet cocktail recipe, golden bough cocktail recipe, Mixology Monday. Bookmark the permalink.